I'm reaching back a few years here, but it's well worth it. 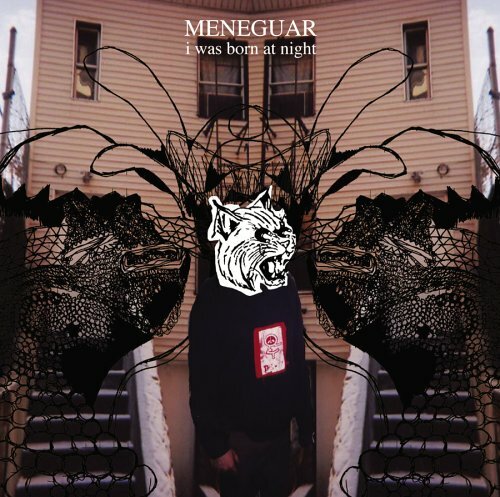 Meneguar came to use from Brooklyn and played a brand of melodic indie rock that had some catchy sing alongs and interesting musicianship. Bright, jangly guitars are highlight atop some dirty bass tone. I wish the drums had a little better production here, but the playing still shines through. There's a grity, off key vibe to the vocals that keeps this from sounding polished. It fits well and provides a nice charm. There's an 80's new wave vibe at times, but ultimately had me thinking that this sounds like Jawbreaker, Sonic Youth and Cap'n Jazz having a baby together. "House of Cats" starts things off on the upbeat note and infectiously gets stuck in your head. Right off the bat you get an idea of how this band uses melodies and swirling guitars to create some very powerful dynamics. "A Few Minutes In An Hour" shows the band slowing things down for a bit. The quieter, more subdued sound is pulled off nicely and seamlessly leads to a larger sounding chorus. The catchiness of songs like "The Temp" and "Christmas Isn't Christmas" will have you repeating listens. Things are rounded off with the more subdued "Wounded Knee" which relies on a catchy guitar line to carry it through. All in all, you're getting some quality indie rock here that makes me wish I had gotten a chance to catch this band live back then.